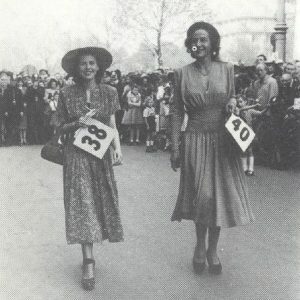 Fashion show on the Königsallee in Düsseldorf in 1949. The grey veil of war was to be replaced by chic colour and flair and fashion was to be fun again. The Igedo actively contributed to this process and brought manufacturers and retailers together at their trade shows. In its early days Igedo was held at Düsseldorf’s Ehrenhof venue. Depicted here is the entrance area around 1952. 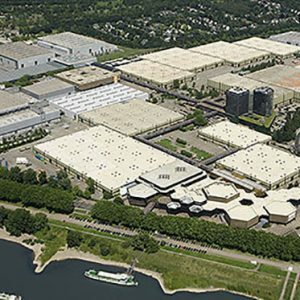 This was later followed by a move into Messe Düsseldorf’s larger premises which offered considerably more exhibition space allowing the trade show to continue to grow. From 1982 to 2012, i.e. for exactly 30 years, the Igedo organized the “Collections Premieren Düsseldorf” (CPD). With some 60,000 trade visitors in the 1990s CPD was the world’s most important and largest fashion trade show held twice a year. To this day the ordering days in Düsseldorf still bear this name. In 2003 the Igedo Company launched CPM – Collection Première Moscow. Held twice a year this international fashion trade show is now the largest and most important orders trade show in Eastern Europe with its over 1,350 collections from 30 countries and over 25,000 trade visitors. The Igedo Company looks back on a long and eventful history. 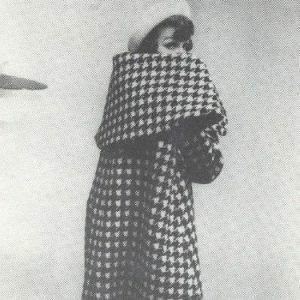 Created in 1949 by Willi Kronen as the “Interessengemeinschaft Damenoberbekleidung” (Community of Interests for Women’s Outwear, or Igedo for short), it advanced in the years to follow to become one of the most successful companies for fashion trade shows in Europe. Successful event formats like “Collections Premieren Düsseldorf” (CPD) or the “Collection Première Moscow” (CPM) were called into existence by the Igedo and to this day stand for extraordinary expertise in the fashion sector. 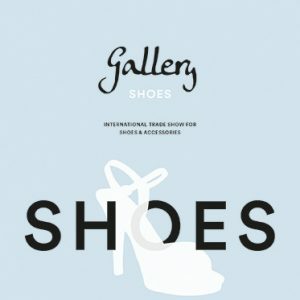 Held twice a year the trade shows Gallery and Gallery SHOES are firm fixtures each offering clear, service-oriented segmentation tailored to the needs of the international order platform. The company was founded in March 1949 bearing the name “Interessengemeinschaft Damenoberbekleidung” (Igedo). At the first trade show 24 firms were presented under the roof of the historic Ehrenhof premises. 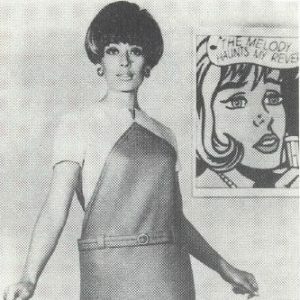 After the war years the founders wanted to pep up the damaged fashion industry and dress women in modern clothing again. The grey veil of war was to be replaced by chic colour and flair and fashion was to be fun again. The Igedo actively contributed to this process and brought manufacturers and retailers together at their trade shows. Already by 1954 72 foreign firms were participating in the event. 1961 sees the holding of the 50th Igedo and internationalisation proceeds apace. 1965 sees Manfred Kronen join the company. In 1969 exhibitor numbers exceed the 1,000 mark. The Igedo moves to the then most state-of-the-art exhibition centre in the world – the Düsseldorfer Messehallen. Alongside Paris and Milan Düsseldorf establishes itself as the new fashion location in Europe and organizes the first German designer shows. 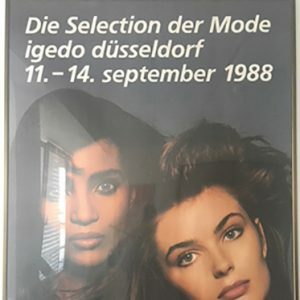 1982 sees the holding of the first “Collections Premieren Düsseldorf” (CPD). Expansion into various international markets like Great Britain, Hong Kong and Shanghai. In Germany, too, Berlin is conquered as a new fashion location with MODA BERLIN that is held a total of 8 times. 1999 sees Igedo celebrate its 50th birthday and, at the same time, the holding of 222nd fashion trade show in Düsseldorf. The event is celebrated at the Tonhalle venue. 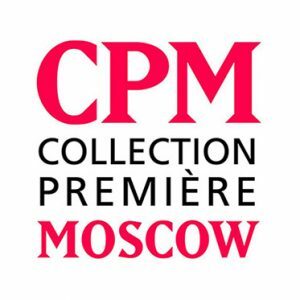 In 2003 the Igedo Company launches CPM – Collection Première Moscow, positioned right from the start as the most important fashion trade show in Eastern Europe. 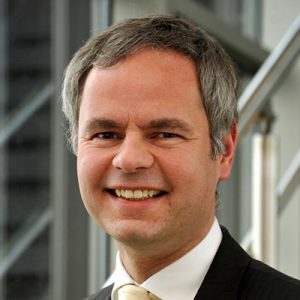 Phillip Kronen joins the company as a Managing Partner. Messe Düsseldorf is a 95% shareholder of Igedo. The company undergoes structural and personnel reorientation. August 2010 sees the Igedo Company enter into a cooperation with the Istanbul Textile and Apparel Exporters’ Association (ITKIB) for the Near and Middle East. CPI – Collection Première Istanbul is held on two occasions but has to be discontinued for strategic reasons. The Igedo Company launces CPD SIGNATURES, a new event for contemporary brands and designers at the exhibition centre. 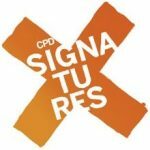 The CPD SIGNATURES concept is reworked. CPD is removed from the market. Within Germany the Igedo Company launches two new events. THE GALLERY, an event held both in Düsseldorf and Berlin, showcases a discerning selection of avantgarde, designer collections and accessories. THE GALLERY BERLIN is housed for the first time at the fashion location of Berlin, at the >Cafe Moskau< event venue. In July the Igedo and its events leave the exhibition centre in Düsseldorf and move into the building of the former American Consulate General on Cecilienallee. The Igedo event THE GALLERY DÜSSELDORF thereby celebrates its premiere at the new location. 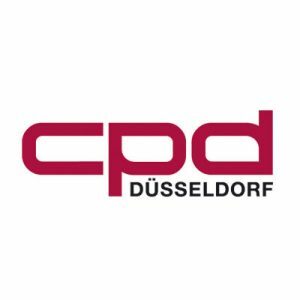 Another innovation for the fashion location of Düsseldorf was decided by Fashion Net Düsseldorf after consultation with the fashion sector and with the approval of Philipp Kronen: "CPD" remains the umbrella brand for the ordering periods in Düsseldorf. 2013 sees further changes and lots to celebrate. 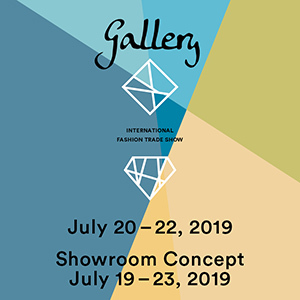 In July THE GALLERY BERLIN moves from the event location >Cafe Moskau< into the larger, more centrally located >Opernwerkstätten< venue in Berlin-Mitte. 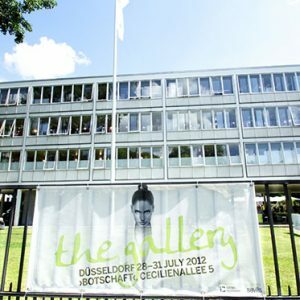 Its sister event THE GALLERY DÜSSELDORF is firmly established in the North Rhine-Westphalian fashion location at the >Botschaft< venue. Rounding off the GALLERY family the Igedo Company launces a new order platform for children’s fashion in the form of THE LITTLE GALLERY that is thenceforth to be held twice a year. By assuming the role of foreign representation for Central Asia Fashion in Kazakhstan for the German-speaking countries Igedo takes a further step towards internationalisation. 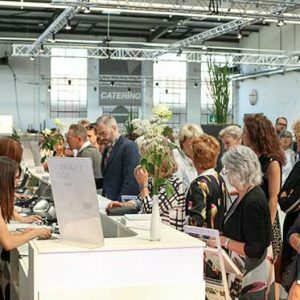 This year CPM celebrates a double anniversary: February sees the holding of the 20th edition of the trade show and September sees the now largest fashion trade show celebrate its 10th anniversary in Eastern Europe. This event is and remains a key part of the Igedo portfolio. The Igedo Company holds its 300th event. April sees the company remove the Berlin edition of THE GALLERY from the market so it can concentrate on its Düsseldorf homebase. THE LITTLE GALLERY is incorporated as a segment into THE GALLERY DÜSSELDORF. By renting a third location, the >Hammer Hallen<, the Igedo Company finally underlines its leading role at the location. The GALLERY moves from the “Botschaft” venue into the trendy industrial Areal Böhler site, thereby heralding in a fundamental change at the Düsseldorf location. Furthermore, the occasion and bridalwear event, RED CARPET, moves to its new home, Areal Böhler. Sadly, the LITTLE GALLERY has not generated enough support on the market and is discontinued again after a total of three editions. 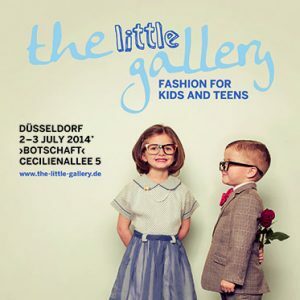 Still now there is no functioning trade show platform for children’s wear in Germany. 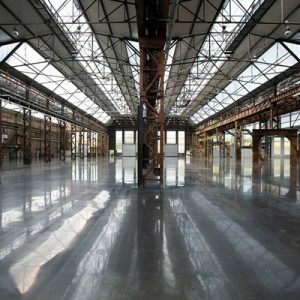 The GALLERY at Areal Böhler grows once again and now occupies an additional hall at the trendy industrial site. In the wake of this the RED CARPET is renamed GALLERY EVENING & OCCASION thereby rooting it more firmly in the GALLERY. A new addition here is the GALLERY SHOWROOM which specifically allows agencies a ten-day presence at Areal Böhler as part of the GALLERY, thereby offering a real alternative to renting a showroom throughout the year. The end of August sees the GALLERY SHOES being held for the first time under the management of the Igedo Company. The event is received very positively by the market already at its first edition replacing GDS, Germany’s most important shoe trade show, run for 55 years by Messe Düsseldorf. Right on time for its 15th anniversary CPM is sold to Messe Düsseldorf Moscow as an authoritative, leading trade show for Eastern Europe. At the same time on 1 October after nearly 25 years, the Igedo once again becomes a purely family-run company as the shares in Messe Düsseldorf pass entirely to the Kronen family. 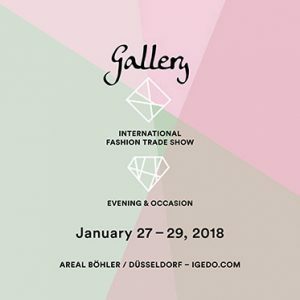 With a total of four trade shows (GALLERY and GALLERY SHOES each running twice) at the homebase at Areal Böhler in Düsseldorf the Igedo brings the fashion location of Düsseldorf back into ever increasing focus for buyers from throughout Europe. Even after the concluded sale of CPM the Igedo still remains responsible for the international exhibitors and visitors and in February already celebrates the 30th edition of CPM. The Igedo looks with dynamism to its 70th birthday.